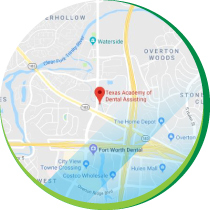 ﻿ Dental Assistant Fort Worth Tx area - Sign up for $50 Discount Coupon at Texas Academy of Dental Assisting school. Would you like a career with job security, good pay and professional work environment? If so, then a Dental Assistant career could be right for you. Employment in this field is expected to grow faster than most other occupations until 2030 according to the Bureau of Labor Statistics. Jump into a career with a great dental assistant salary - at a school with an excellent reputation and affordable price. With the hands-on education from our school and internship in a modern facility, you will be ready for us to help you find immediate job placement. Classes are completed in 12-weeks with 72 hours of lectures and lab work and you’ll be qualified beyond the level of other local schools. 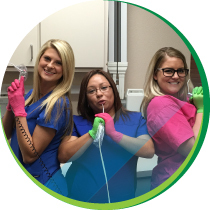 Our team of experienced assistants, hygienists, and dentists is ready to provide the best training for your new career right here in your community. 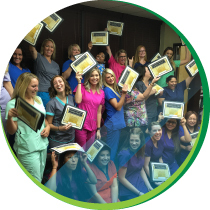 Get the knowledge, experience and confidence you need to enter the rewarding field of dental assisting. Please click the contact button or call us for further information. "I am proud to say that I got a job BEFORE I graduated!. I love my job, and couldn’t thank Texas Academy of Dental Assisting enough for helping me make this change in my life. I would definitely recommend TADA to anyone!! Thank you, Thank you, Thank you!!" I would like to say thank you to Dr McDonald, his wife Sheila, and all of the amazing team at TADA." 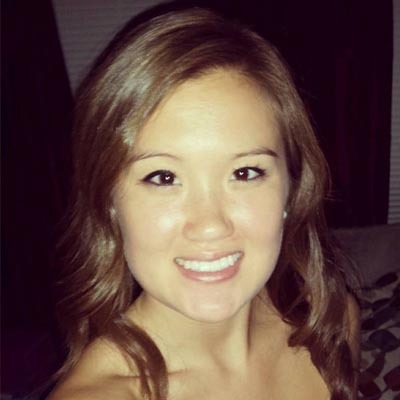 "This training has awarded me a great opportunity because I started my first job within a month after graduating. Everyone is friendly and helpful here. The instructors teach you everything you need to know to start your career. There is a lot of hands on activities which truly helped me learn and understand the concept of dentistry much quicker and easier. 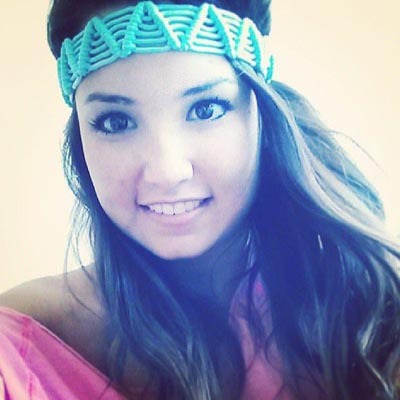 I am very satisfied with Texas Academy of Dental Assisting." 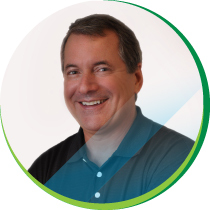 "I thoroughly enjoyed my time at TADA, and wish that all classes were as enjoyable as this one! TADA was great because it provided a hands-on lab session, as well as a very informative lecture session — all taught by wonderful instructors who genuinely care about preparing the students to become successful dental assistants. Dr. McDonald and Sheila McDonald really know how to run a wonderful program, and I am soooo glad that I chose TADA over the other schools that I toured. I would highly recommend this program to anyone interested in the dental field, or anyone who is tired of working at a dead-end job. You will not be disappointed in TADA!!"